THIS HOME IS ABSOLUTELY PERFECT! ~$60,000 in recent updates & improvements! 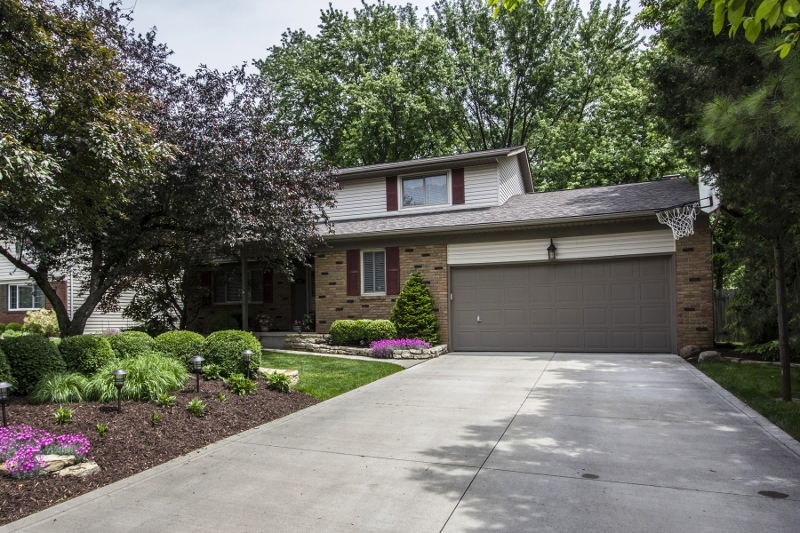 Two-Story home with over 2,200 SF nestled onto a ~1/4 acre wooded and fenced yard. New wood floors in Entry & ½ bath. 1st floor Den/5th BR/In-Law Suite with Full Bath access. Remodeled Kitchen has granite counters, wood floors, white cabinets & S/S appliances. Sunken Family Room has brick fireplace & walks out to Multi-Tiered deck with gazebo & fenced yard. Master Suite with vanity/dressing area & private shower Bath. New or updated roof, siding, gutters, flooring, lighting, furnace, A/C, Kitchen, Baths & more! Community Pool. 4 BRs & 3.5 Baths. Gahanna Schools. Only $269,900! Call DeLena today. NEW LISTING IN LEWIS CENTER !